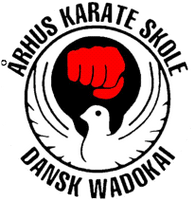 Århus Karate School was founded in 1969, and was soon taken over by Sensei Torben Vandrup, who was the driving force of the club for many years. Initially, the style KYUKUSHIN-KAI, who was based on great physical power in the techniques, was trained and the match was Knockdown. Throughout the 80s, when the Danes’ interest in karate peaked, the club got several hundred new members at each recording. As there were no room for so many members, the coaches made an extremely high physical pressure at the beginning, resulting in only the strongest continuing training. Today the club has approx. 100 active members, and the physical requirements are at a level where most people can participate and benefit from the training. Århus Karate School has achieved many great locations in tournament characters through the years, including in Danish Team Championships for Black Belt, Individual Danish Championships Junior / Senior, Nordic Championship Individual / Teams and Medals at Europe Championships. Over the years there have been several practitioners from Aarhus Karate School on various national teams in the Danish Karate Federation and for the Danish Wadokai – (style). From approx. 1978 to 1989, the club’s black belts trained under several WADO-KAI instructors in connection with Kumite training at home and abroad. In 1990, it was decided to change style. Wado-ryu had become the natural choice for Aarhus Karate School. The style wado-ryu is a beautiful, technically concrete style, where it is not only the physical strength that is crucial, but also the body’s movement in the technique. The Karate School of Aarhus has succeeded in reconciling the major future perspectives in WADO (organizational and technical) with the strong legacy of KYUKUSIHIN-KAI, which is in school. Aarhus Karate School’s instructor is regularly updated in the style wado-ryu, with international and international journeys, in order to maintain a high technical level. Aarhus karate school is also a member of the Danish wado-kai, which is affiliated with Japan’s karate federation wado-kai.